When we start mixing the colours, that’s how we get the colour themes. 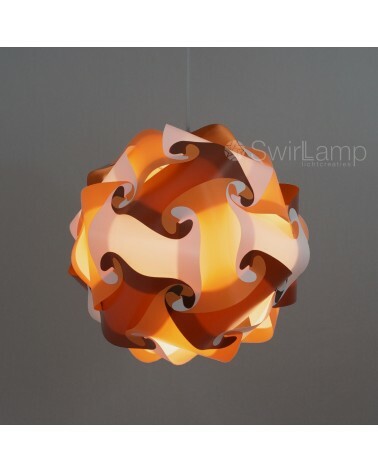 If the basic swirlamp is too ordinary for you and you are looking for something special, you’ll probably love the colourtheme Swirlamp. How about a lampshade in the colours of the dutch flag, or a seventies lamp, or a threegreen lamp? We have already made a few different colourthemes, but it is possible to make your own colourtheme request. Depending on our stock, we will try and add your colourtheme to the shop, ready for you to order. Colour Themes There are 3 products. The Swirlamp lampshade Patrol/Lime/Grey/White is a modern lampshade that perfectly suits the colour trends of this moment. The lamp is built up from 4 basic colours. 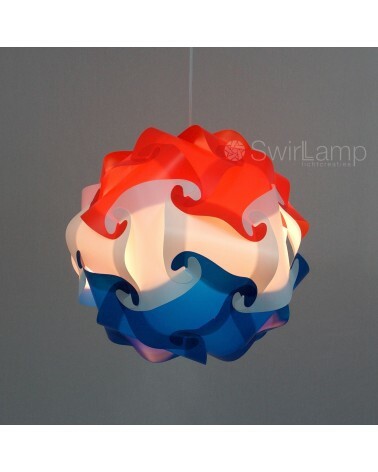 This is a good example of how you can make your own combination of colours in a Swirlamp. 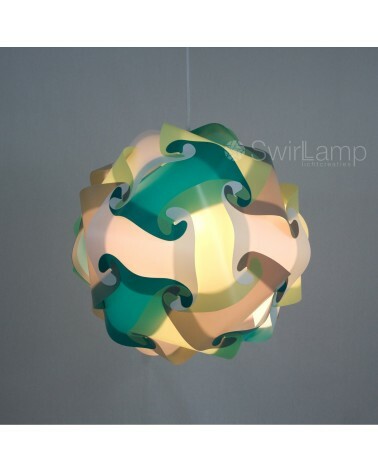 The 70’s Swirlamp is the perfect match to your 70’s style interior. Built up from white, orange and brown elements, this Swirlamp brings you back to the age of wide trousers, hotpants, platform shoes, glam rock and disco.